A headache is typically characterized by pain or discomfort in the head or neck, and is a relatively common complaint among people. Headaches are classified as primary where there is no underlying condition for their presence and as secondary when they are the result of an underlying condition. Primary headaches usually consist of tension headaches, cluster headaches and migraines, with tension headaches being the most common of them. There are several types of migraine with the two common types known as classic (neurological symptoms) and common (changes in the size of the skull’s arteries). 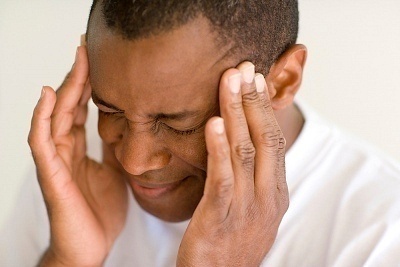 A migraine will begin as a dull ache before developing into a constant, throbbing and pulsating pain. The pain may be felt at the temples or the front or back of one side of the head and is usually accompanied by nausea, vomiting and sensitivity to light and noise. Cluster headaches are headaches that attack in groups and are known as the most severe of headaches. There are no preceding symptoms as in a migraine and usually lasts from 30 to 45 minutes, and in some cases, occasionally, for a few hours. There are two types of tension headaches: episodic and chronic. Episodic headaches tend to be random and typically result from temporary stress, anxiety, fatigue or anger. Symptoms include soreness in the temples, a tightening band-like sensation around the head, a pulling feeling, pressure sensations and contracting head and neck muscles. Symptoms can also include tightness in the neck; certain positions may provide relief. The headache surfaces in your forehead, temples or the back of your head and neck. Chronic headaches are tension-type headache which may occur daily and last for a prolonged period, usually months much unlike episodic headaches. 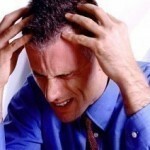 Chronic tension headaches are not usually treated with over-the-counter medications. The pain, impairment, triggers or impact of headaches vary from person to person and therefore, treatments will also be dependent on each individual. The following simple home remedies can be used to gain some relief from the gnawing pain, caused due to headaches. using essential oils: A good home remedy for headache relief is the use of aromatherapy. When using essential oils, ensure that they are 100% natural and pure as “mock up” essential oils may actually worsen your headache instead of easing it. Peppermint, sandalwood and lavender are said to be the most effective in fighting headaches. Also great are, eucalyptus and rosemary oils. Mix essential oil with unscented massage or bath oils and add to a warm bath or make a compress by putting 5 drops of essential oil in cold (or warm) water and place it on the forehead and neck. massaging: Use massage techniques as a home headache remedy. Have someone kneel across your shoulders and the back of the neck then have them press on the base of your skull with their fingers, and slowly release. If you are without a partner rotate your fingers over your scalp. Put pressure on the webbed part of your hand, which is the area between the index finger and the thumb. medicinal herbs: Herbal remedies which involve the use of feverfew, peppermint, passion flower, ginko biloba, chamomile and cayenne, are said to be effective in the relief of headaches. Feverfew is known for its anti-inflammatory properties and is more popular for migraines. Passionflower has also been identified as an anti-inflammatory painkiller. Ginko is said to improve the flow of blood and increase oxygen supply to the brain. For mild headaches that can be tackled at home, use the above mentioned simple home remedies to combat the pain and discomfort. If the headache becomes too intense or unbearable or if it persists for a long time without respite, it is best to consult a professional medical practitioner for advice.